This month, we’ve got some great savings on PPG Pittsburgh Paints! PPG paint is sold exclusively at independent locally-owned retailers, because they see the value in great service and expertise. With industry leading tools, support, quality products, expert service and the best color platform in the industry with THE VOICE OF COLOR® program, PPG meets the demands of all homeowners and any commercial job. Are you planning to paint your space in the new year? With PPG at Meek’s, it’s never been easier! Bring in a sample chip or an item you love the color of and our experts can match it for you. 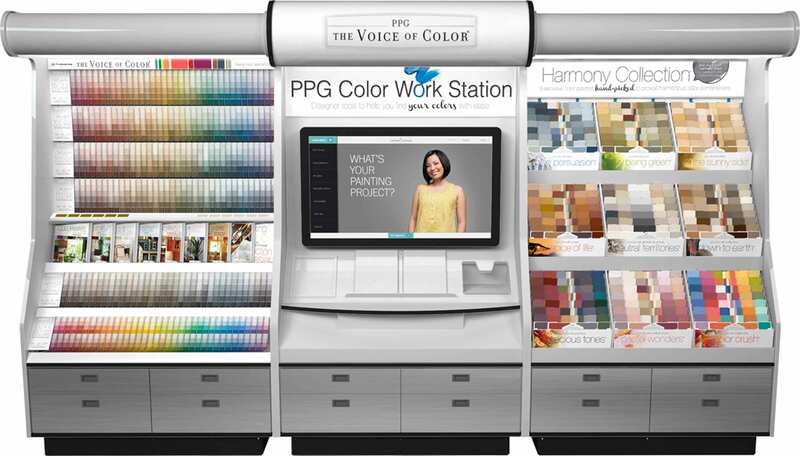 With PPG’s Voice of Color work stations, you can browse large take home chips or use the digital screen to drag and drop colors to virtually design your space. With over 2,000 colors, the possibilities are endless. Stop by your local Meek’s Lumber & Hardware to take your walls from inspiration to reality!